Our very popular 'Rusty Racquets' sessions are back for the summer. Starting on 27th April, come along on Saturdays from 10:30-11:30 to give tennis a try. And this year we'll be supplementing these sessions with an absolute beginners social on Sundays from 12:30-14:00 so you can develop your competitive game in a zero pressure environment. We've added an events section to our website so you can now keep an eye on upcoming club events and important dates all in one place. Right now we've got dates for the Wimbledon ballot, club clear up, and annual open day. 2019 Club Championship Entry Open! The match season is starting and it's time to get your entries in for the 2019 Club Championships. Entries close on Friday April 26th , so get yourselves organised! Categories as always are Men's doubles, Ladies doubles, Mixed doubles, plus Men's and Ladies singles. Entry forms are available in the Clubhouse or you can download one. Arrangements for playing the Finals will be decided in September when we know who the finalists are. So get your entries in and aspire to be the next name on our new honours board! We're happy to announce that from today (1st April) we now have our complete range of membership packages available to purchase by monthly direct debit. So now you can spread the cost of membership across the year! Check out our membership page for details, where you can also sign-up online and become a member easily. And don't worry, our regular annual memberships for 2019-20 are also available. Easter 2019 holiday camp announced for 15th to 18th April. Walton Tennis Club is situated in a rural location on the outskirts of Stafford. 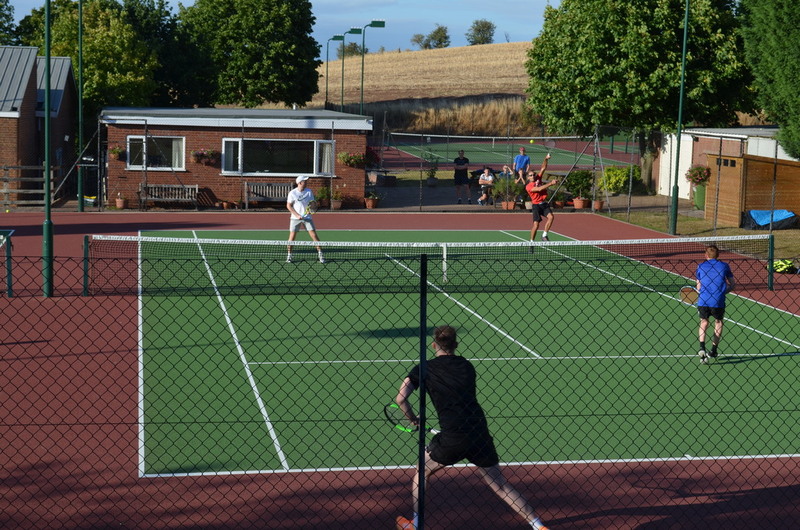 We take pride in being a friendly club which welcomes new or experienced players of all abilities, offering opportunities for social tennis, league tennis and family play. 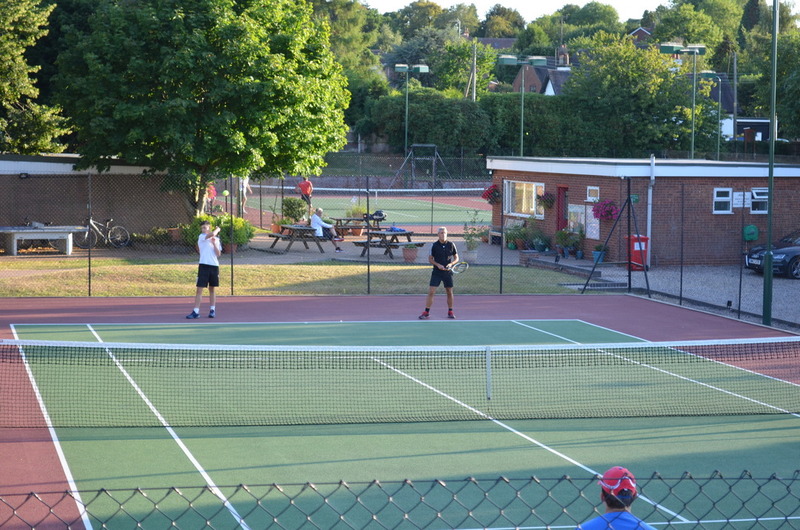 We have four recently repainted hard courts, and play all the year round, until 10 pm under floodlights. We have around 140 senior playing members and run social mix-ins several weekday evenings, and on Sunday morning (see our court timetable for details). These mix-ins are a chance for members to meet other players and guarantee newcomers a game. For more competitive players, we run several teams in the local Staffordshire tennis league with FREE weekly team coaching sessions in the winter. Our club championship competition runs each summer and an open veterans competition runs in the winter. Our thriving junior section of over 60 members has a supervised mix-in on a Friday evening and priority access at other set times. Competent junior members can be ‘promoted’ to allow them to play in senior mix-ins. Our club coach, Chris Proud, runs coaching programmes for juniors and adults and is available for private individual or group sessions and is there to meet new members at the Thursday night mix-in. The licensed bar is open on mix-in nights and we also hold social events in the clubhouse. 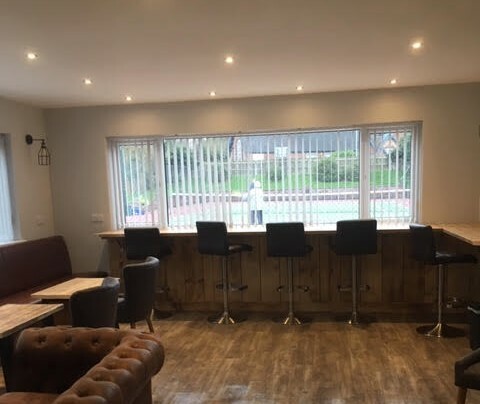 Within the last few years we have laid a new patio and social area, with outdoor table tennis table, picnic tables and benches and this has added an extra dimension to the atmosphere at the club. Interested in joining? Check the membership page for details on how to join and our membership packages.